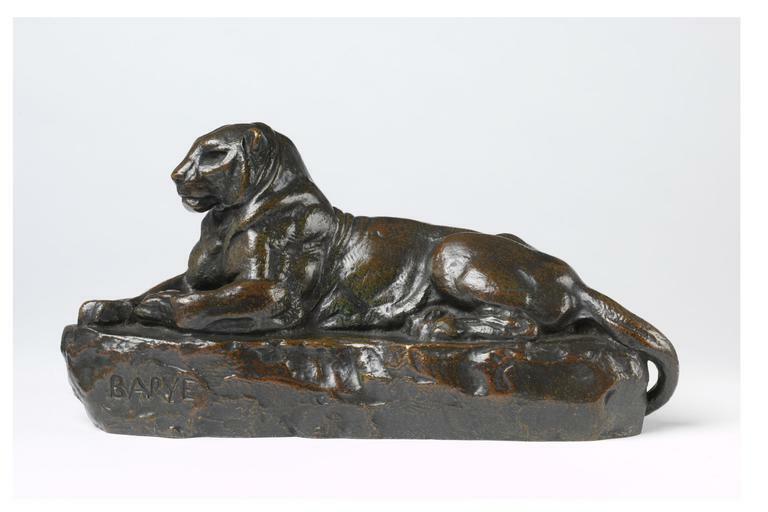 Antoine Louis Barye (1795-1875) exhibited his first animal sculpture in the Paris Salon of 1831 when he was dubbed an 'Animalier', a maker of animals. Initially applied with derogatory overtones, this term became widely used for sculptors - of whom Barye was first and foremost - who specialised in this genre. He was referred to as the 'Michelangelo of the Menagerie' by the contemporaneous art critic Théophile Gautier. Barye studied animals closely. He attended dissections of animals at the Museum of Natural History in Paris, where he served as the Master of Zoological Drawing from 1854 until his death. But he was also intensely interested in what lay underneath the physical appearance of animals - their inner vitality - and in this sense was in tune with his romantic contemporaries, for whom exotic or wild beasts held a particular fascination. Although he obtained public commissions and enjoyed the patronage of the Dukes of Orleans, Luynes, Montpensier, and Nemours, Barye specialised in the relatively large-scale production small-scale animal sculptures. 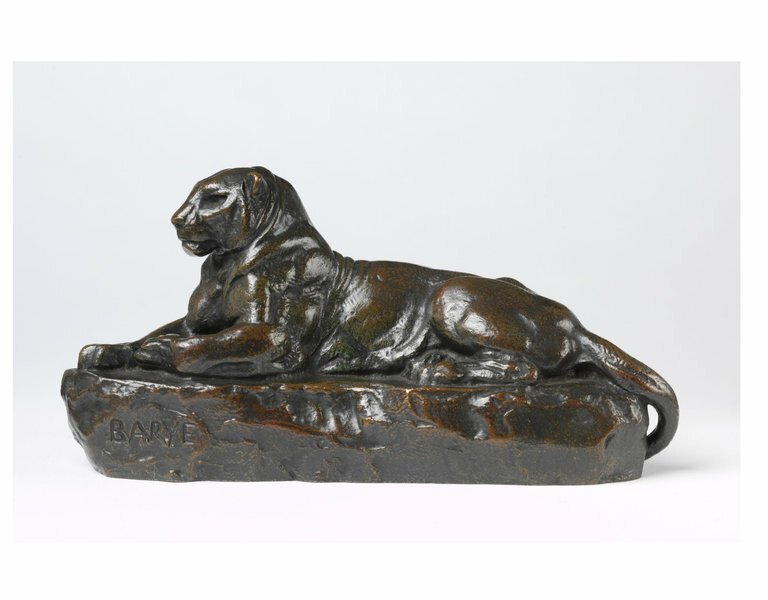 The expanding commercial market of the middle class helped ensure that his and other animalier sculptures gained in popularity through the latter half of the 19th century. 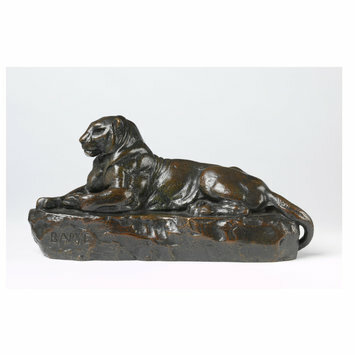 Barye modelled a Panther lying down in the 1830s, but about twenty years later conceived a different pair of panthers, one from India (this one) and one from Tunis (V&A Museum Number 98-1890). Both were cast, as were a number of other animal sculptures, after his death by Barbedienne. Bronze statuette of an Indian panther, lying down.